When it comes to adventure, it is quite certain that the first strike that cracks in one’s mind is mountain. Mountainous region can offer you a wide range of adventurous options among which the first one is trekking desirable by most people. 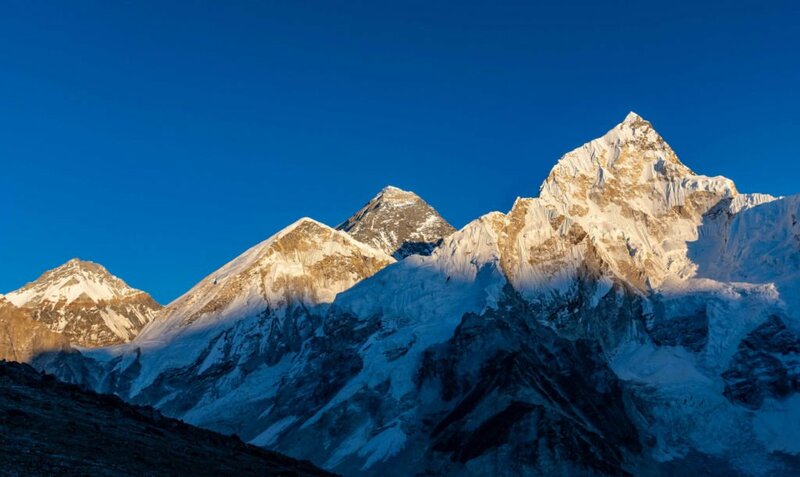 It would not be a newest thing to say that out of fourteen tallest mountains in the world, Nepal has nurtured eight tallest mountains within its province. Because of the richness in the geographical diversity, Nepal is regarded as one of the most preferred location for mountain adventure. Each of the mountains in Nepal are gifted with special dazzling trails or routes to reach on its base or periphery areas and each route are decorated by means of their own unique features that even rating their exquisiteness scale would be hell of a job and it would not seem right to compare one with the other. Almost all of the trails lie in Himalayas; the upper part of Nepal, mostly inhabited by Mongolian tribes such as Gurung, Magar and Sherpas. Therefore, what makes the trekking experience in Nepal exciting are not only the attractive sight of forests, landscapes, rivers, glaciers, flora and fauna you get to watch whilst walking along the trails. It is also the Mongolian cultural values and practices you get to be in touch with while staying in the hotels, while listening to the guide or the local people narrate the histories while mounting or sliding along the steep rugged trails. It is evident for a fact that deciding on which one to prioritize is complex when you are surrounded by many alternatives around you. So your choice must rely on various aspects such as availability of the time duration, of the budget. To make your choice easy, here we present you the top five best treks that you can undertake in Nepal. We suppose there are only few people who have not heard of the world’s highest peak Mount Everest which stands tall with the elevation of 8848 meters above the sea level. This journey that starts and ends from/at Tenzing Hillary airport, Lukla is most preferable for those who have at least two and a half or three weeks of time frame. 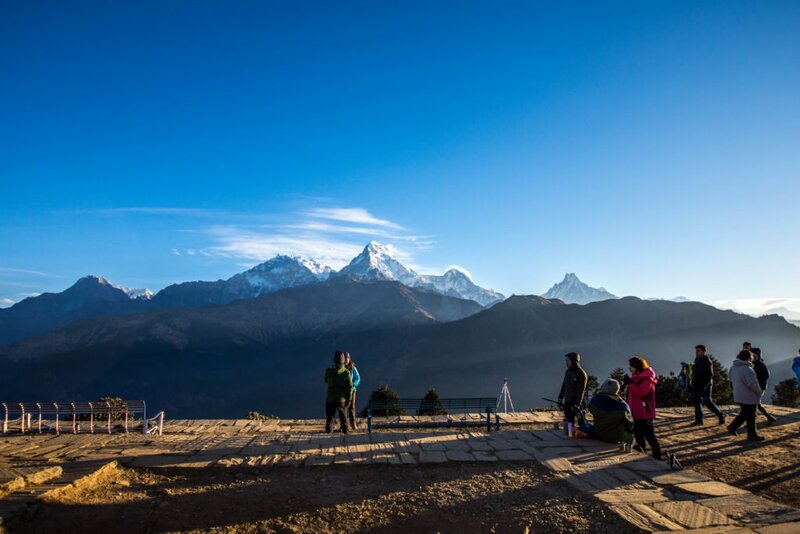 This trek offers you the most magnificent and closest view of the tallest mountain in the world along with the view of other incredible mountains as well such as Thamserku Peak and the Kongdi RI Himal. You can grab the opportunity to closely view the Sherpa’s lifestyles who are also known for their excellent climbing skills and great physical endurance. Accompanied by a lot of Buddhist prayer flags throughout the trails, you will also have the chance to feel blessed in the Buddhist monasteries. So, the trek to Everest Base Camp is the complete Himalayan experience which is basically going to be a fusion of adventure and cultural exploration making it a culturally adventurous trip. And the most exciting thing about this trek is that though it is at the highest elevation, people with a reasonable amount of fitness though with no prior experience can also undertake and accomplish this endeavor. This will be an appropriate option if you have minimum of 10 days to two weeks time frame in your holiday plan. As you begin to walk from the Annapurna Sanctuary entry gate you will wander through the beautiful hills passing through welcoming villages and charming valley views. Compared to other trekking destinations in Nepal, the Annapurna Base Camp trek is slightly tough, demanding a little more physical strength as it is very steep and vertical with very less flat topography. Annapurna is regarded as the most difficult and risky mountain to climb in the world. But just visualizing the state of being able to stand boldly just below that towering tough mountain will energize you to climb up the hills. And finally when you reach your desired spot; ABC camp, you will feel as if you are an insect when you compare your size against it. In counter, the glorious view of radiating Annapurna twinkled by the bright sunrays will heal the tiresome feeling you have had to experience all the way. The memories of having crossed the small suspension bridges that looks dangerous but not actually are, will make you feel not less than of a character in an adventure movie. Langtang valley situated in the North towards Tibet should be your ideal destination for trek if you are at shortage of plenty time like two or three weeks. The Langtang Valley Trek is widely known for its diverse vegetation and culture that takes you through wonderful forests to the high alpine pastures and yak fields around a Buddhist monastery named Kyangjin Gompa. You may also hike up to the top of Kyangjin Ri peak if you crave for it. The trek will reward you a great unobstructed view of Langtang Ri and views of the panoramic view of Annapurnas and Makalu once you reach Tserko Peak at an altitude of 4,984 m.
Despite the fact that it lies quite near to Kathmandu, the region is as adventurous as any other highlands of Nepal surrounded with tranquil rural landscape. While in the trek, you will be unveiled to the unique Tamang culture and their lifestyle. You will feel blessed on having the chance to march along the beautiful glaciers even at low elevation during the trek. This trek circles around Mount Manaslu, the eighth highest peak in Nepal that takes you to maximum elevation; 5,115 meters. It is considered one of the most difficult as well as most worthwhile treks, one can accomplish in a lifetime offering you with epic sceneries of forests, at the beginning of the trail, to the barren, the clouds playing hide and seek with rocky landscapes; you will be amazed to date them. This will require you to pass through many suspension bridges and temporary wooden planks bridges also in the higher altitudes. Manaslu Circuit Trek actually joins both regions; Annapurna with the Manaslu, which makes the journey even more captivating. This is also a less crowded trek route enriched with diverse, remote, secluded and varying topography which might cause you difficulty for easy accommodation. The main highlights of this trek are the beautiful dramatic Tsum Valley and Mu Gompa and Larke Pass. The day of crossing the Larke Pass- the utmost point of the trek is considered the day of bang on adventure and bravery as it is the most challenging mission to pass. During the circuit trek, you will also have the chance to visit Manaslu Base Camp walking through Samagaun village whilst also getting to know traditional Gurung and Tibetan-influenced culture. The experience of embracing the giant clear view of Manaslu Mountain will give you goose bumps and you will for sure want to pat on your back oneself as self- admiration. For this trek, the time you will have to allocate is around two weeks frame. Mustang is renowned as concealed paradise of Nepal which is somewhat like hidden behind the Himalayan ranges below the Tibetan boundary. The trek starts from Jomsom and enters into the treeless arid desert zone. In the trek route, you will be offered with breath taking views of Nilgiri, Annapurna, Dhaulagiri and the other Himalayas. White painted small house, huge barley fields, old Gompas and Buddhist prayer flags add more beauty to the place just like the coriander garnish makes the dishes look special. The Buddhist monasteries and Tibetan-influenced traditional culture from 16th century still today preserved and maintained by the locals and the caves carved unto the brown and crumbling sandstone cliff walls are what have tempted many tourists to Mustang. One peculiar and advantageous specialty of Mustang is that it is also known as the rain shadow of Nepal which is why even if you don’t get to manage your holiday during other dry seasons, and happen to travel Nepal during monsoon season, Mustang is there to rescue your frustration. In fact many trekkers purposely choose monsoon season for going Mustang trek because it looks even more appealing during rainy season. When you are already excited only by simply reading all these, imagine how blissful the experience of living any one of these oneself would feel. All these treks are definitely not a cake walk; they are tough, challenging & confronting but so worth it. As said earlier, reflect upon which might best suit you based on your prior experience, based on your time frame and so many other aspects that are relevant to your needs and then decide which one you would like to do. Give Nepal Hiking Team the chance to serve and manage your trekking tours and our highly experienced guides will accompany you in achieving your adventure dream. Click damn good pictures, record videos to use it in your travel blog or to share some glimpses of your experience in the social media sites, but do not get so indulged in device capturing that you might disregard to live to the fullest in every instance. Remember to embrace every moment till it penetrates to the each core of your body. Share your gentle smiles with the local people and take a lot of good memories back home with the desire to come back again. The best time for trek is anytime from March to May and sept to nove.